MJ C11 Test frame can be spliced upper and lower motherboard. 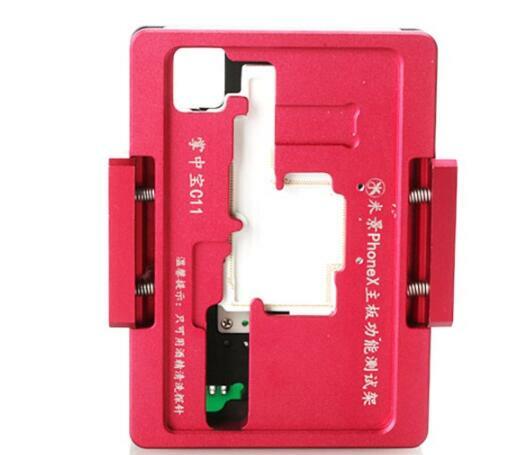 C11 Mini Motherboard Test Fixture For iPhone X is small size, easy to use. 1. Decomposition iPhone X Middle Layer simply equipped the test fixture. 2. Install: Put in the lower main board, put on the pin board, put the top board in, and then cover the test rack. 3. The first way to connect the screen line,boot,power cord or battery test ink success or not. The second way is to connect the end plug on the base of the first method to implement the brush function. Why you need the iPhone X motherboard test fixture? 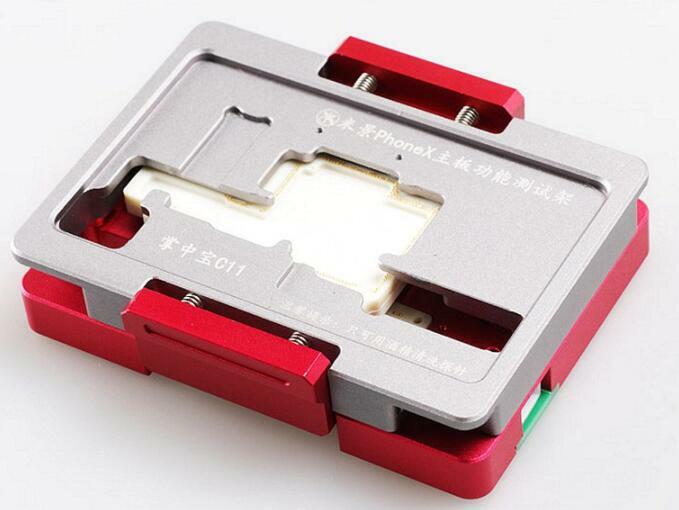 The upper layer and lower layer of iPhone X logic board is weld together, before repairing, you need to disassemble the 2 layer board, then attach them together after repair is done. 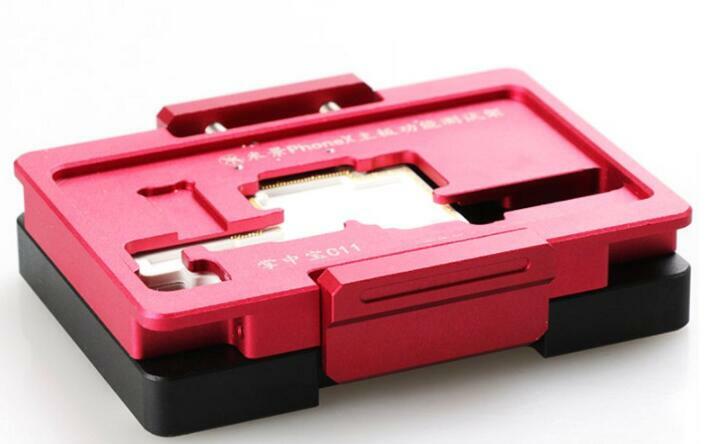 If the problem on the motherboard can not be solved, you need to repeat the disassembly and reassembly operation, which is easy to produce chip virtual welding, CPU tin damage and other problems! 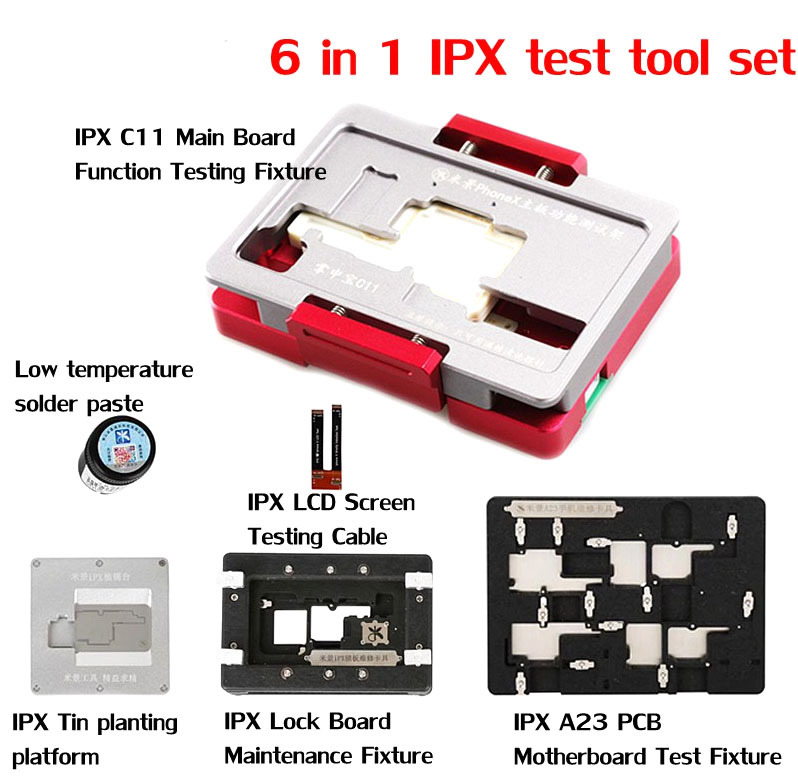 Therefore, the iPhone X motherboard test fixture perfectly solve the problems and offer professionals more effiecient repair.